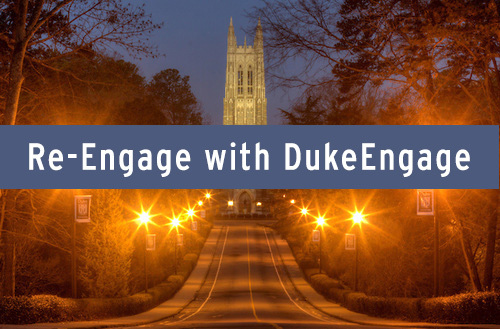 We invite program alumni to stay connected with DukeEngage. As DukeEngage approaches its commemorative five-year anniversary this summer, Duke Assistant Professor Mbaye Low, who leads our DukeEngage in Cairo, Egypt, program, shares his views in a recent Duke Chronicle column on the DukeEngage program’s successes, challenges and opportunities as it looks toward another five years and beyond. Read his April 30, 2012, Chronicle column.